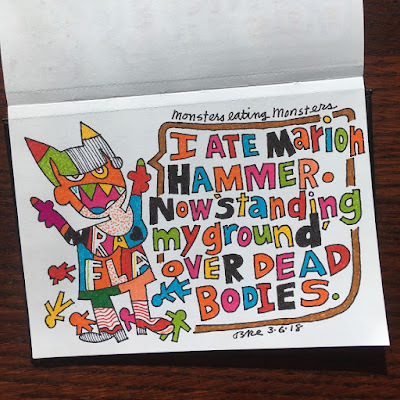 I ate Marion Hammer. 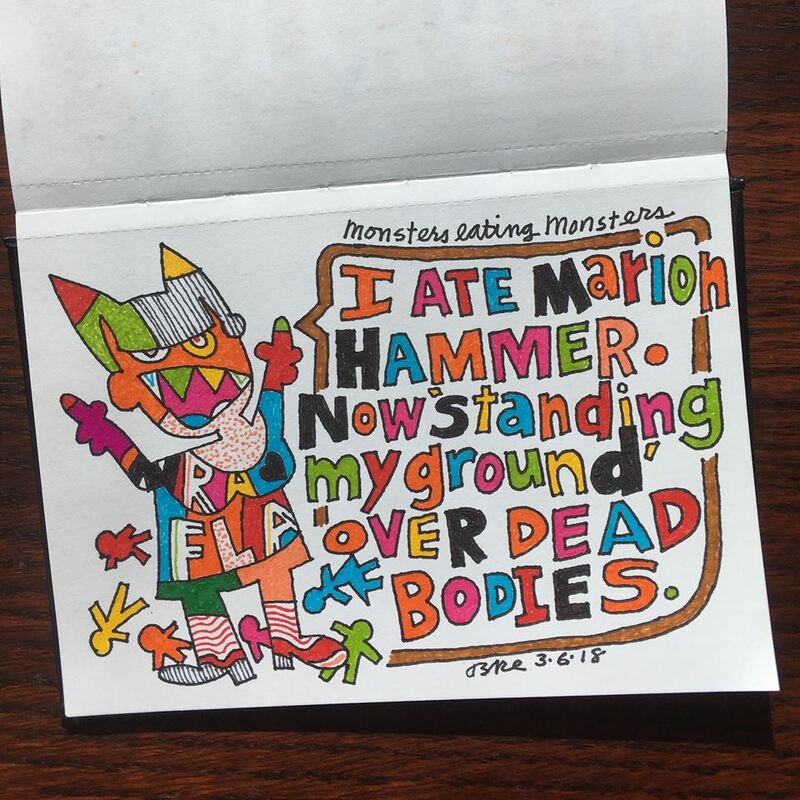 Now 'standing my ground' over dead bodies. "... Hammer was one of the chief architects of Florida's controversial 2005 "Stand Your Ground" law... Half the states now have the law, or one like it, on their books. ..."
"... "Marion Hammer and the NRA are the masterminds of a dangerous paranoid mentality... the mentality that is responsible for endangering all of our lives," Malte said. "It's based on a lie that you need to be armed to the teeth anywhere you go." ..."
"... an idea the NRA sells in general to its members. But she's been cultivating this "us against them" mindset since the 80s. So when she raises some issue, perhaps like a Republican lawmakers voted the wrong way on something and broken with the flock, she's taught hundreds of thousands if not nearly 2 million people to immediately respond to her requests, and that means emailing them, emailing the governor's office, telling them to not do the bad thing that they're about to do, or undo the bad thing that they have done, and that always results in many thousands of emails. She's proven that she can mobilize those people so effectively that everyone is not only aware of it but it's to some extent afraid of it. It's her leverage. ..."